Oklahoma Takes Louisiana’s Place as the State with the Highest Incarceration Rate in The U.S. 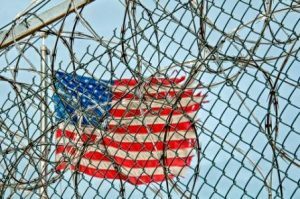 According to a study by the Prison Policy Initiative, Oklahoma has recently surpassed Louisiana in terms of the highest incarceration rates in the United States with 1,079 people being incarcerated out of 100,000. In an interview by Jeremy Hobson with John Carl, a University of Oklahoma sociology and criminology professor, Carl says that it isn’t about the higher rates of crime. He added that across the entire southern part of the United States, there has been a large increase of incarcerations since the 80s. Carl explained that incarcerations have exploded to a massive 700 percent since 1980 with crime rates in the state going up by about 20 percent. When asked about the state of Oklahoma’s prisons Carl said that they are overcrowded. Oklahoma incarcerates 1 out of every 100 people in the state with each imprisonment costing tax payers in Oklahoma $19,000 a year. John Carl said in the interview that the state of Oklahoma allocates the third largest part of its budget to corrections after education and health and human services. Carl added that the reason that why the budget for the state of Oklahoma is so tight is because they spend disproportionately huge sums taken from tax revenue on putting people in jail. Steele pointed out that it only costs around $2,000 to $6,000 a year per person for rehabilitation or mental health treatment.